Beginning Attachments offers parents and carers an introduction to caring for children who struggle to form emotional bonds. It provides an understanding of the challenges faced by these children and offers practical guidance on how to build and foster emotional connections. Children who have experienced trauma, loss or separation early in life need more than just special care and attention; they need to be parented with love and security in a way that allows them to heal and rebuild emotional bonds. This comprehensive book provides parents and carers with crucial advice and guidance on how to strengthen attachment and trust. 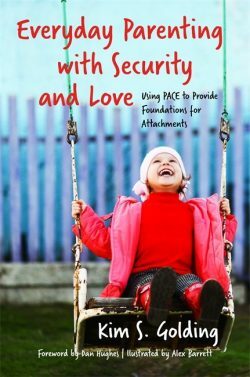 Based on Dan Hughes’ proven ‘PACE’ model of therapeutic parenting, this book explains how to implement PACE techniques to overcome the challenges faced by children who struggle to connect emotionally. Barriers to stable relationships such as a lack of trust, fear of emotional intimacy, and high levels of shame are all explained. It explores techniques to overcome these barriers by teaching how to support the child’s behaviour at the same time as building empathy and trust. The practical parenting guidance offered throughout is essential for carers or parents of troubled children, and will help build safe, secure emotional relationships.